Grant Seuren studied Tourism Management and worked in Tourism in Sydney for six years before moving to the UK with his Danish wife Helle. Growing up in New Zealand they had always had an affinity with the ocean so the idea of working with boats and tourism appealed strongly. 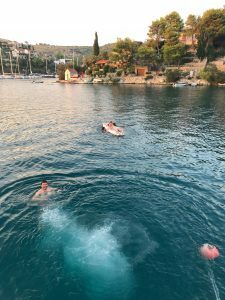 Their professional interest in Croatia was inspired by their experience in Australia: The Whitsundays, on the Great Barrier Reef, were always a popular sailing destination with young travellers, and Grant and Helle were looking for a similar kind of destination in Europe. 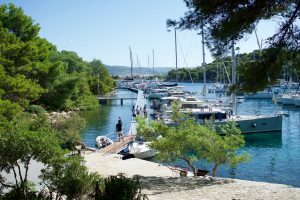 Croatia was an obvious choice and their company, Sail Croatia, is now well established in Croatia’s Nautical Tourism Industry. Although English is widely spoken as a “first” language, throughout Croatia’s tourism industry, Grant felt it was important to try and learn Croatian and looked to the Croatian Language School for help. 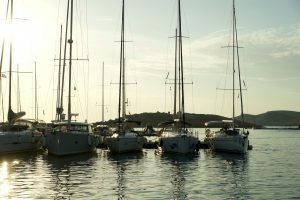 We used this interview, not only to find out more about Grant’s experiences with the Croatian language, but also as a golden opportunity to learn, from an expert, about Croatia’s undoubted popularity as one of Europe’s best sailing destinations, and what the country is like as a place to do business in. 1. How have you got along with the Croatian language in the past, prior to your studies with CLS? I had not studied the language previously and, over the years, have only acquired a few basic greetings and ordering vocabulary. All of my learning has been with CLS. 2. What type of course/lessons are you doing with CLS, how did you come across the school in the first place and what were you hoping to achieve? I learn on Skype and my teacher, Linda, and I use Google Docs to support the text, reading and writing which is very collaborative and allows us to meet wherever in the world we are. The school was recommended to me by past students who worked with Sail Croatia. I was hoping to achieve a basic level of understanding of the language and enough to make conversation, ask questions and be able to join in a general conversation. I also wanted to understand some business terminology and social customs which are important professionally. 3. Have your studies with CLS met your expectations? CLS has been excellent, patient, dedicated and professional at all times which has made the learning experience really nice. I enjoy the lessons as they are always an efficient use of our time which is perfect for me as it fits into a busy lifestyle with work and family. 4. What do you enjoy most about learning Croatian? I enjoy the immersion in a safe environment, free from judgement. It’s a tough language and Croatians will quickly switch to English once they know your Croatian is poor. They are not slow to point out your mistakes and shortfalls, and sometimes this can knock your confidence. So learning with this method works well. Learning the grammatical cases for me is really hard as there are so many. It’s tough getting them to stick in the mind and it can be tedious. I learnt Danish in the past and this was a breeze compared to Croatian! 6. 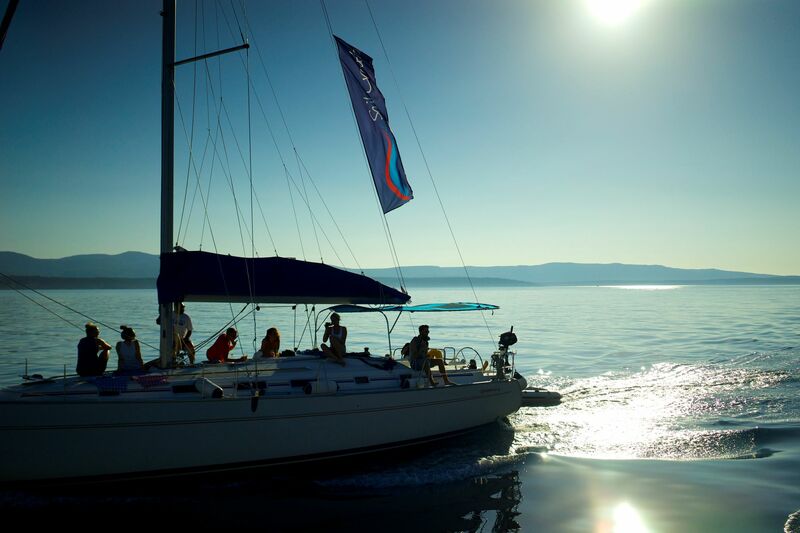 As a founder of Sail Croatia, long established in Croatia’s Nautical Tourism Industry, what do you think makes Croatia stand out as a sailing/cruising destination? There are so many things that make Croatia a great destination. 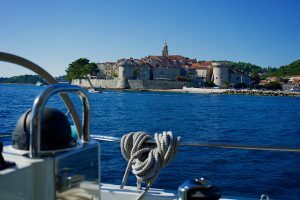 Specifically for sailing then we would say geography is the first thing that comes to mind: small islands, cosy harbours, idyllic bays, clear sea water; all within easy sailing distance of each other to make it perfect as a cruising destination and also safe. The winds are interesting and we don’t often have long periods of bad weather so, over the course of a week, there are invariably great sailing highlights. 7. 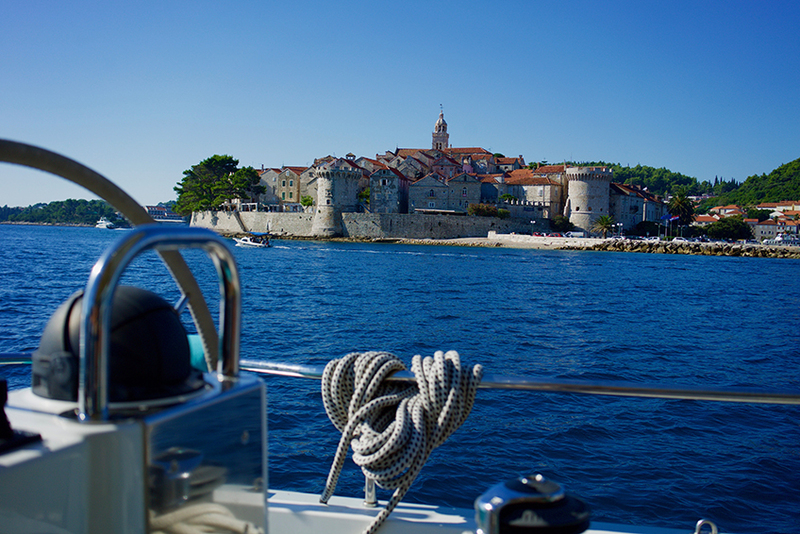 What is Croatia like as a place to do business in? Does learning the language make a big difference? Fun, hard, terrible, excellent! I think I would have described it in so many ways over the years. 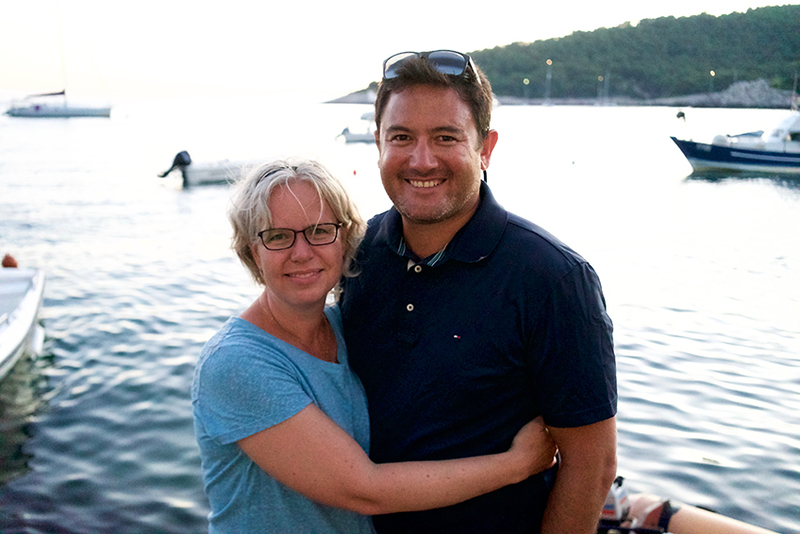 One thing we love about doing business in Croatia is the people we do business with. We are a family business and we work with families in our business relationships. This resonates with our beliefs and core values: family is really important in Croatia and this is why we enjoy our work. Business for us has been about the people, and working with the right people to achieve good things. Tourism makes you feel good because you are providing happiness to customers. Our business has largely been modelled on making people happy – customers, employees, suppliers. We have had challenges to overcome in trying to achieve this, particularly with legislative areas before Croatia joined the EU in 2013. After this it became easier to get clarification on certain things, and knowing where to look to find information makes decision making easier. 8. Do you get to speak Croatian much at work and when you are in Croatia? No hardly at all on a business level. Most of our suppliers speak English as they all work in Tourism where it is necessary. This is the same with all of our team. I think if we were in a different industry then this would be different. 9. What would be your top five tips for someone of a similar background wanting to get to grips with the language? Think hard about the time commitments – for me this is a longer journey than expected. Learn vocabulary – find some tools online. I use Quizlet on my phone which works great. Questions are great conversation starters with Croatians. Use the online learning options available. Skype, Google, YouTube – there are so many sources. Do your homework and revise frequently. 10. 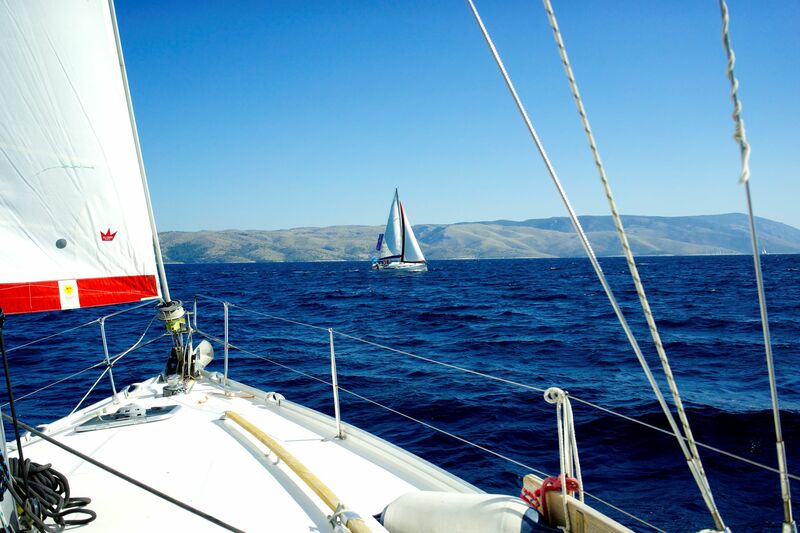 And your top five tips for someone thinking of a sailing holiday in Croatia? 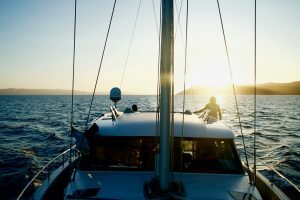 When you book a yacht make sure you book a local skipper. They have so much insight and their job is to realise your expectations. Even if your dad is a skipper or thinks they know how to sail. You can do this next time but for the first time learn how everything works in a relaxed environment. Relax and go slow. A holiday should be about enjoying every moment. Tourism has changed a lot over the years in Croatia. Especially in Split and Dubrovnik. Take your time to discover and don’t try and do it all in your first visit as that’s impossible. Plan your week but be flexible. Think about the ports you are going to and when you are going. It gets busy in some ports, especially in high season, and the weather can change. Expect for the plan to change. May, June, September and October are best times to go. 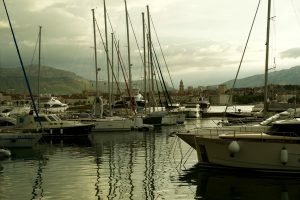 In spring the water is cooler but there are fewer people and the weather is usually good for sailing. In late summer the crowds are fewer but the weather can be a little more hit and miss, especially in October with winds and rain. Temperatures are still normally good at this time of year though and the water is warm enough for most to swim in. July and August are hot with little wind so often it is to calm to sail. 11. What are your plans in terms of carrying on with your Croatian language studies? My objective is to get to a level where I am confident enough to ask questions and understand conversations in a social context, and one day to happily present in Croatian at meetings. 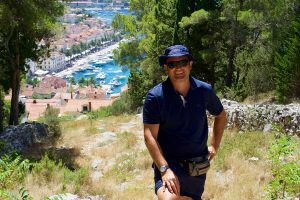 Many thanks to Grant for answering so many questions, and for the fascinating insight into Croatia’s Nautical Tourism Industry, as well as into his language learning journey.